ZENOAH MOTOR MOUNT - NOW AS QUICK RELEASE! This unique Zenoah Motor Mount is lightweight, adjustable, and a perfect fit for any 5" stringer spacing. 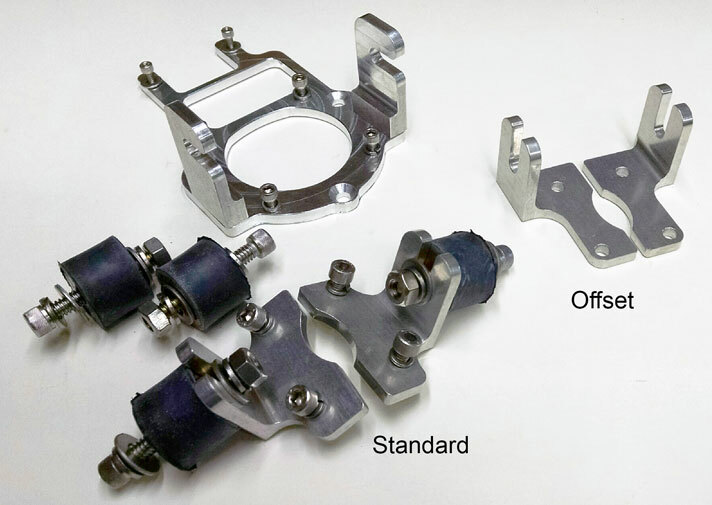 Fully machined billet aluminum mount has integrated coil bracket, adjustable front and rear mounts, all fasteners (uses existing Zenoah Phillips screws for front mount) and 1" heavy duty rubber bushings. Additionally, this mount can be lightened by using 5/8" dia. bushings with flat washer spacers. Also available with offset rear brackets (see additional product listings).